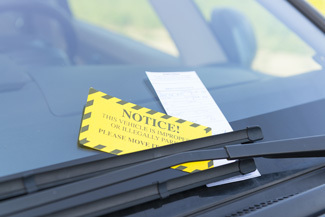 Traffic Ticket Violations are a very common reason for people to call a lawyer. Whether it be speeding or running a stop sign, many individuals would rather get the ticket amended. Individuals should be careful however, because each state's laws differ on what type of amendment to get and what type of point system they use. For example, Missouri uses a traditional point system and many individuals tend to get minor speeding tickets amended to defective equipment. However, just over the state line in Kansas, they use a different type of point system and have different statutes. At The Haggerty Law Firm we can help you get your minor traffic ticket violation amended if you have received the violation in Missouri. Please be advised that The Haggerty Law Firm does not handle Commercial Driver's Licenses (CDL's). Need more info on our legal services and how we can help? Contact us today to learn more. Any Legal Information That Appears On This Web Site Is Not Legal Advice. A Lawyer/Client Relationship Must Be Established Before Any Legal Services Can Be Provided. Copyright © 2015 The Haggerty Law Firm. All Rights Reserved.